If I imagine the coolest amusement park I can come up with: Here’s that park, in the form of music. The groove is so dominant here, and the playfulness likewise. Bouncy, stomping and above all: Fun! I don’t know exactly why I find these kind of tracks so attractive. Is it my age that shows? It has a definite old-school touch to it, with roots straight back to the sample-heavy, crazy 12″ b-side remixes from back in the days. Or is it simply the sheer, unadulterated playfulness that is at display here? 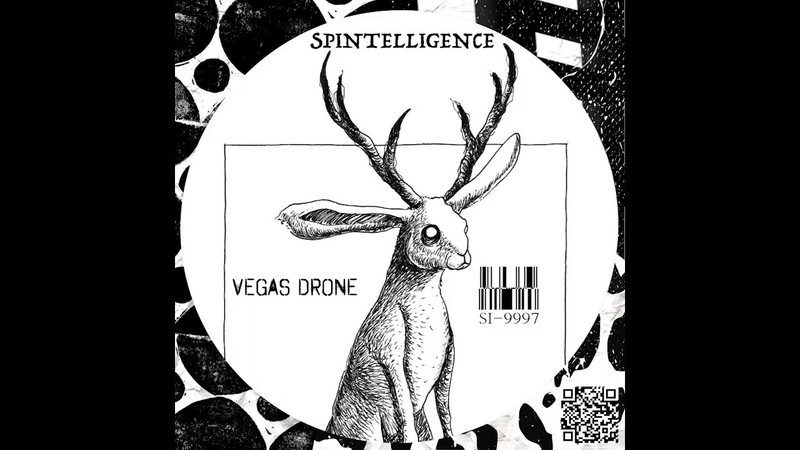 Either way, here’s the title track from Spintelligence’s debut EP, “Vegas Drone”. A track that made me want to jump around in a mindless fashion. And believe you me, it’s been a while since I felt that particular sensation. Last time was probably to some mad breakbeat tracks in the early 2000s. And looking at his (or is it “her”? Please, let this be a girl, that’d be a nerds dream come true) Spotify profile, he’s got 1 – one – follower. That makes me even more excited! Truly a perfect fit for this blog. You’ve got one more follower now, pal. You’ll find this track, along with all other picks done for this blog, in our playlist “Beatradar Selections“. The most grumpy of you might just about now say, “so you’re not turning mainstream on us, Atroxity?”. Oh come on, sod off. This is FUN!